Although I come from a position of 19 years playing badminton, I’m a relative beginner at the sport of Squash and Squash tactics. Some of it, the racquet control, hitting the ball, basic movement and general ability, carry over. Some of it, such as tactics for Squash, dominating the court, getting out of the way of your opponent and winning doesn’t. Over the six months I’ve been playing squash I’ve learned fast and here are some of the things worth passing on. Coming from playing badminton this is a difficult habit to defeat in squash. Badminton relies on carefully hit shots, precision is more valuable than power, and an accurate net shot is often better at winning points than a smash. 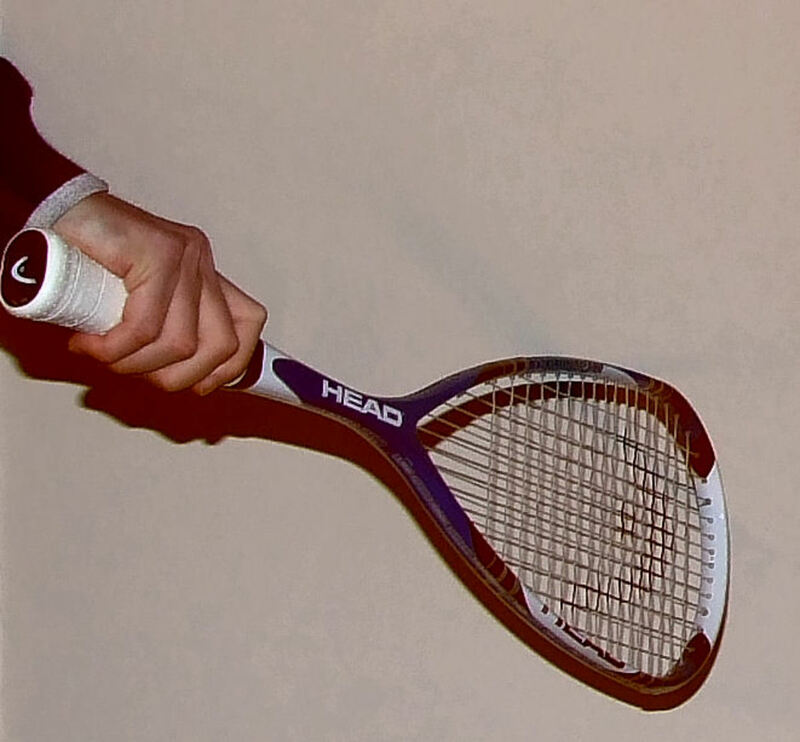 When you pick up a squash racquet, application of brute force is ludicrously easy; the temptation to hit every shot as hard as possible is almost overwhelming. It's easy, you don't have to think about it, but more often than not, as in badminton, it doesn't really get you anywhere. Quick as it can be, you do have time in squash. Consider where your opponent is on the court. A fast shot will often carry around the court giving your opponent multiple opportunities to return it. A sneaky shot off the side wall into the corner that has no more force than needed to reach the front wall may be all that’s required. Having considered how hard to hit it, the next and most important decision is where. You need to consider factors such as whether you are going for a winning shot or whether it's designed to put your opponent out of position, how well you can play your opponents return shot should they get that shot back and finally can you actually play the shot? There's no point in planning a round-the-back reverse slice if you don't have the technical ability to play it. In short, consider your shot; don't just belt it, however tempting it may be. Always get back to the tee. I know this is tired old advice and even if you aren't going to run face first into your opponents return smash you're probably too tired to make it, but honestly, it'll save you energy in the long run. Your return shot will most often be better if it comes from a position of readiness and you are give or take equidistant from the next shot. If that doesn't convince you, consider a few other things. A centre court position means that most often, your opponent has to move around you: less movement for you, more for them. All of this will help you play a better shot; a better shot will help pressurise your opponent, turning gameplay into the opportunity for that finishing shot. On this subject, general fitness is worth mentioning. As a badminton player under training, I used to do a considerable amount of skipping. Skipping is an easy thing to carry out, equipment wise; all you need is a space and a rope. It is however very intense physical exercise, using leg muscles, increasing cardiovascular fitness and improving hand-eye coordination. In 6 months of skipping for 3/4 hour every week, I gained far more fitness than 3 years as a cross-country runner. A £5 speed rope and looking a bit of a muppet is well worth it. 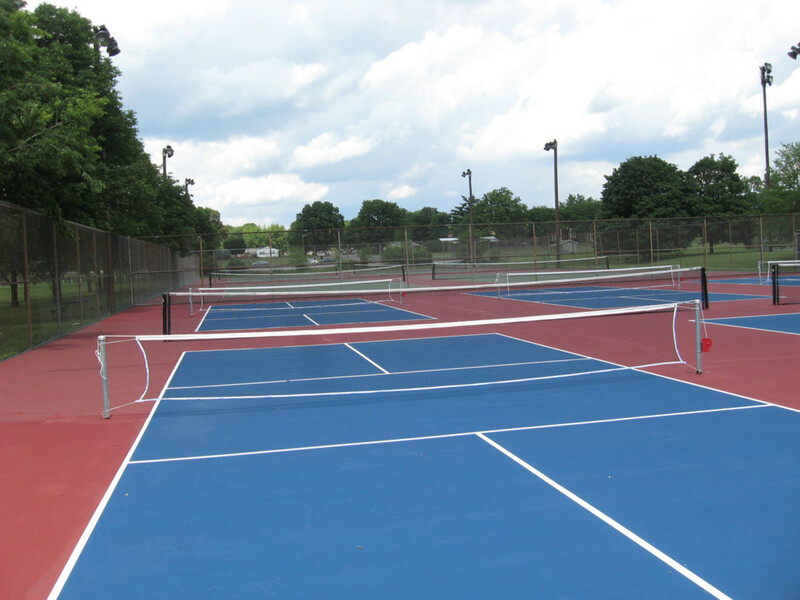 When I first started, I had racquet skill but no game sense. 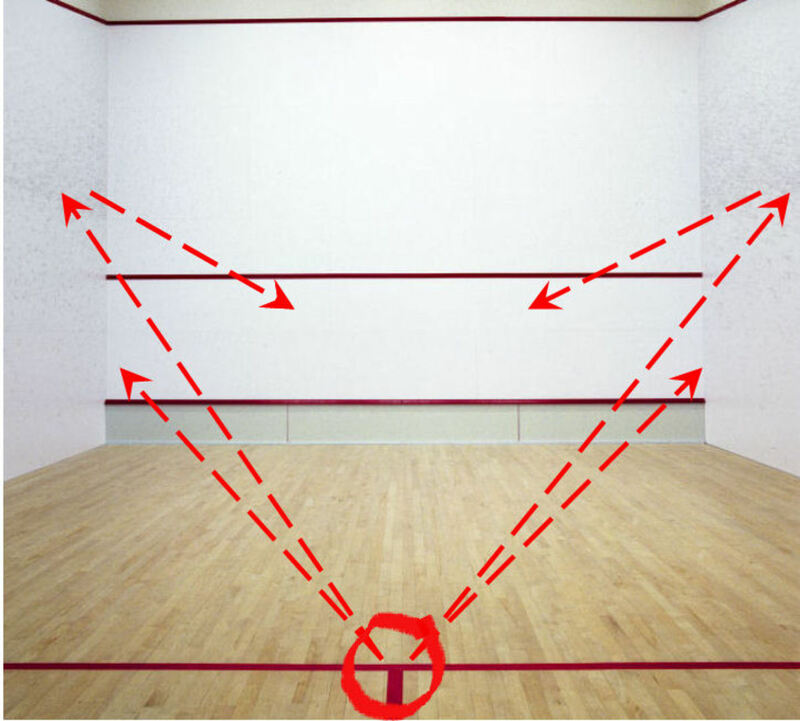 The transition from badminton to squash gave me the ability to play a wide range of shots all over the court but no idea where I should be hitting it. One of my worst habits was trying to hit the ball perfectly cleanly. In badminton, there are no walls, and a bounce means you've lost the point. Every squash player knows the situation where you're forced to play a shot that’s almost rolling along the wall. I constantly tried to get the racquet perpendicular to the path of the ball and, not only fluffed the shot but tended to damage racquets. It took me longer than it should to realise that a short, sharp tap against the wall was a far better option. Depending on how close the ball is, you should start by trying this at a slightly upward angle and flat to the wall as possible. This will give you the max probability of reaching the front wall. The second shot which took me a while to fathom involves soft shots very near the front wall. My opponent and I would get locked into ever shortening shots that just brushed the front wall, usually in one corner. As he invariably won these, I needed a get out. 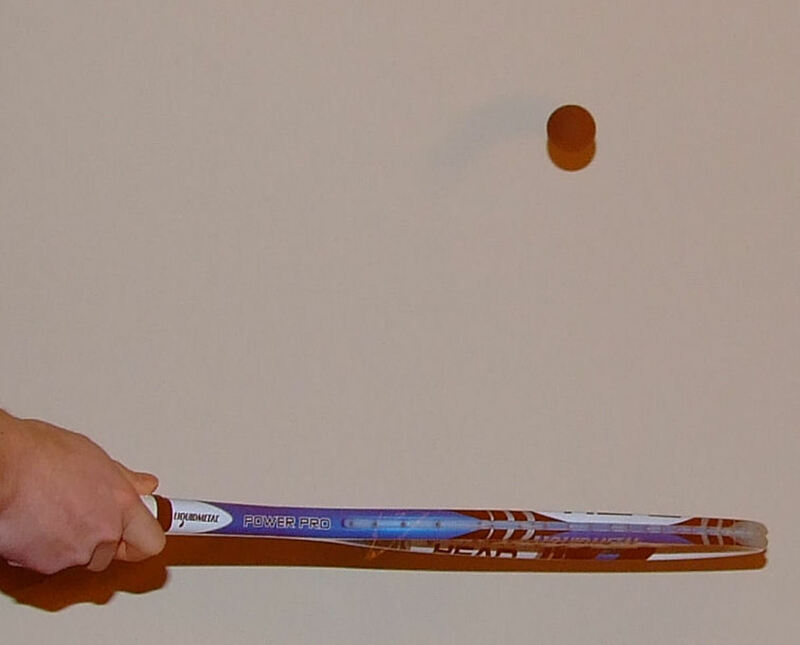 The first is to counter intuitively hit the ball at the side wall closest, bouncing it parallel across the front wall. You're still playing the same style attacking shot, just changing the direction and letting the right angle play the ball onto the wall. The second, if you can't manage a direction change, is to sky the ball up and over you and your opponent’s heads diagonally from front corner to rear corner. It’s played by arcing the ball at an upward angle, off the front wall over your head. 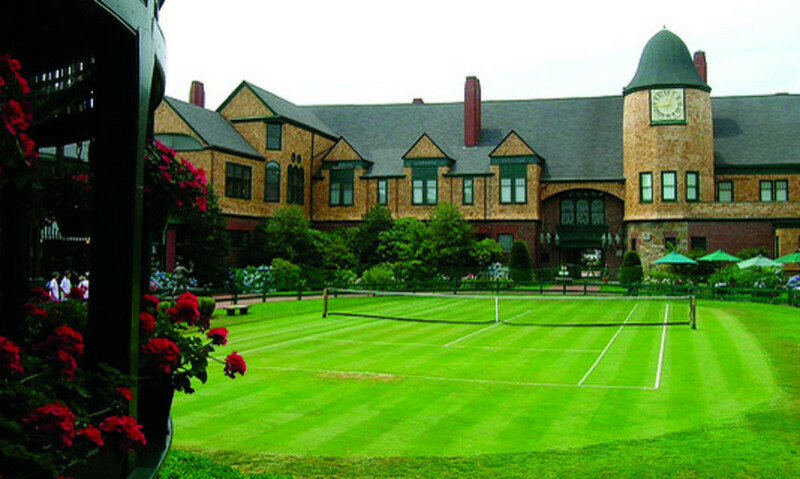 Hit the ball towards the open courtside and your aim is to drop the ball into the rear corner opposite. This is a more defensive shot as the height allows them more time, but it’s still quite difficult to return. When buying a kit, the first thing everybody does is buy a racquet. While this is not necessarily a bad start, (after all you do need a racquet to play), I'd start with footwear first. If you go for a shot and end up breaking your neck because you slipped, it'll be scant conciliation that you had a very nice racquet. So what are you looking for? Excellent grip with none marking soles and good foot support is a must-have. Very few of the Nike, Adidas and Reebok type trainers will be anywhere close to sufficient; you need to get a specialist pair if you want to be able to move reasonably and not damage the court. Wilson, Forza, Victor, and Yonex all do excellent court shoes, and I would recommend any of these makes. I’ve personally used all four for badminton, although predominantly Yonex over the past 10 years. Yonex shoes seem to carry the best grip and foot support as well as a good amount of foot cushioning. They’re also very hard wearing. Considering the amount of time I play badminton and squash for, Yonex trainers have lasted phenomenally well. These types of trainers tend to be relatively expensive but probably still cheaper than poser trainers. 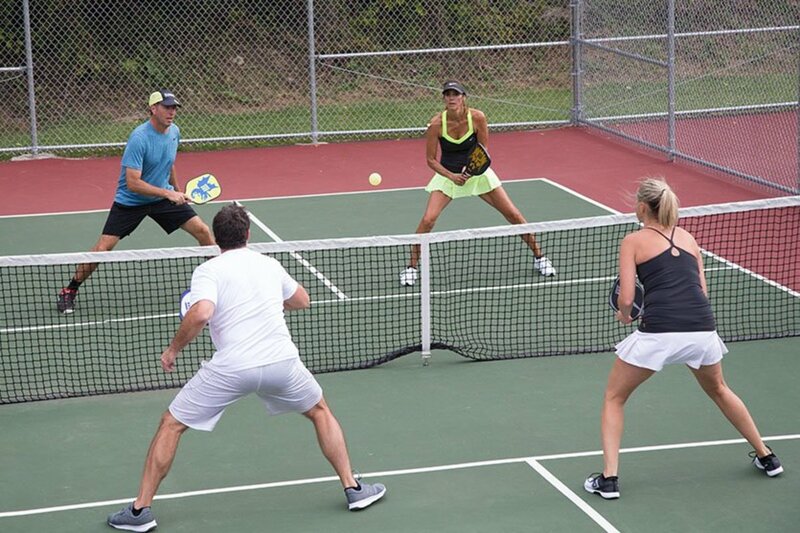 13 Singles Tennis Strategy Tips to Help Your Game! how much dose it cost to go to a class?